Foxtel Play viewers will be able to watch season 6 of Game of Thrones for $30 per month, under a special deal from Foxtel. 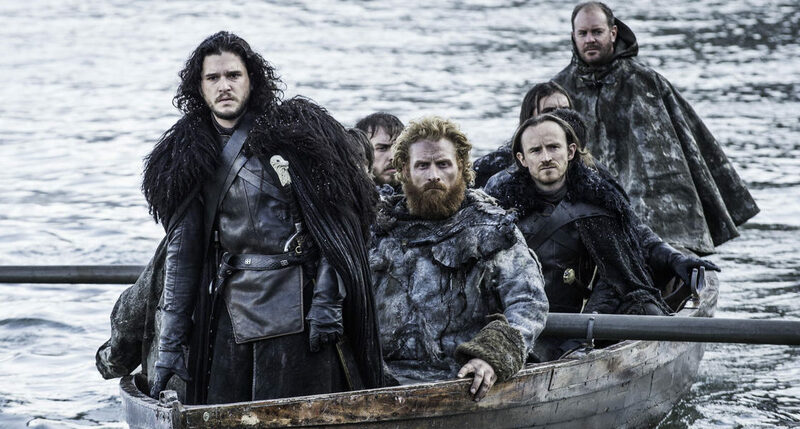 Foxtel has unveiled its annual Game of Thrones deal for Foxtel Play. Subscribers to the internet video service will be able to watch Game of Thrones for $30 a month. The deal gives viewers the opportunity to add the Premium Movie & Drama pick to any of Foxtel Play’s $25 base subscription packs for the special price $5. 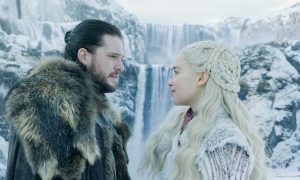 With 10 episodes of the HBO drama this season, Game of Thrones fans will need to subscribe to the service for three months, costing a total of $90. The Premium Movie & Drama pick usually costs $25 per month. Foxtel today announced that Foxtel Play is offering a discounted subscription to the Premium Movie & Drama pick, including showcase, the ‘home of HBO’, during the broadcast of the hotly anticipated HBO drama Game of Thrones season 6, which returns to Foxtel screens starting on Monday, 25 April at 11am, same time as the US. Customers who sign up to Foxtel Play between 18 April and 29 April will be able add Premium Movies and Drama to their first $25* a month genre pick for only $5* extra a month for the first three months. Foxtel’s special offer allows fans, old and new, to watch the continuing drama of Game of Thrones unfold, following the shocking developments at the end of season 5, for only $30* a month for the first three months. Subscribers will also have access to Game of Thrones seasons 1-5 via Foxtel Anytime (on-demand) to ensure they’re completely up to speed with the politics, passion, blood and betrayal erupting across Westeros. In addition to Game of Thrones, Premium Movies and Drama subscribers have access to a host of other premium drama screening on showcase including,Veep (s.5), Orange is the New Black (s.4), Penny Dreadful (s.3), Hap and Leonard (s.1), Turn: Washington’s Spies (s.3) and new comedy, Casual; plus the incredibly popular Throne Cast that airs every Tuesday at 10:30pm starting April 26, recapping each week’s latest episode. Customers will also have access to Foxtel’s BoxSets channel, featuring hundreds of hours of the most binge-worthy drama, along with a massive volume of blockbuster and library movies as part of their subscription. 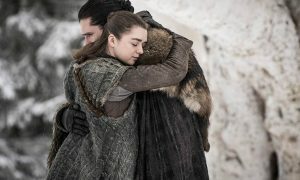 Game of Thrones continues to be a world-wide sensation that marks a major high point in Foxtel’s premium drama offering. Season 5 saw nearly 900,000 average viewers watching, up 57% on season 4 and with more than half watching the show played back the same day from the simulcast, showing that fans are excited about the flexibility of watching how and when they want. Today’s news regarding Foxtel Play’s special pricing will make it easier than ever for more people to enjoy this popular series. Foxtel Play offers customers instant access to great entertainment within minutes of signing up and enables them to subscribe by the month and pay as they go, so they will be able to enjoy Game of Thrones season 6 and other premium drama and movies. With no lock-in contract and no installation costs, subscribers can stop and start their subscription month-to-month, to suit their circumstances or viewing choices. Foxtel Play enables customers with a broadband connection to stream and watch programs from Foxtel’s amazing range of sports, drama, entertainment, documentary and movie channels live or on catch-up. Foxtel Play customers can enjoy their programming via eligible Samsung, Sony and LG Smart TVs, Xbox 360, Xbox One, PlayStation 3 & 4, selected Samsung Blu-Ray and home theatre systems and PC and Mac computers. Foxtel Play customers can also access content on selected smart phones and tablets by downloading the Foxtel Go^ app at no extra cost.